Too often we forget on this day that the Republic of the Philippines took over the administration of the Turtle Islands and Mangsee Islands from the United Kingdom in 1947. However, more importantly, today marks the release of some awesome music right off the Label Engine skillet to enjoy on all streaming services. 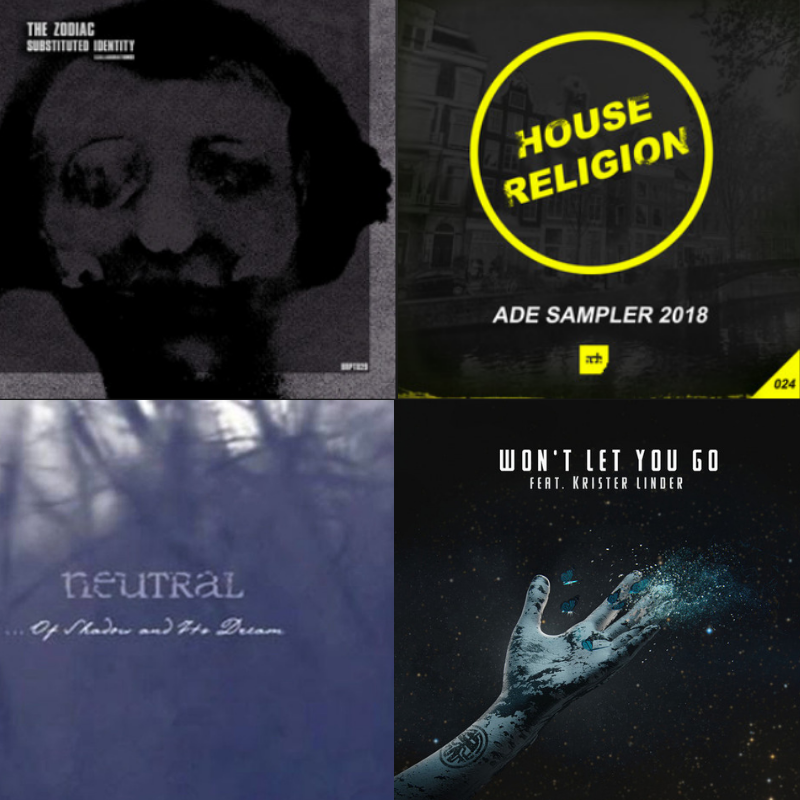 With ADE in full swing, it’s a good time to catch up on the samplers we have from some of our EDM labels. Amsterdam Dance Event is an annual celebration of electronic music that charges up the city, and our friends Ace Face Records compiled an album full of heavy hitters that showcase their line up going into the main event. We’re joined by the likes of Sledge, Qmode, and Andrew Shepard in a celebration of intricate, future bass hymns. Ace Face’s sampler is particular in that it doesn’t feature much four-on-the-floor. Instead, complex wavetable melodies slide in and out between heavy trap beats to paint an intricate work. One primed to obliterate the concrete under a few dance floors. The house labels came in full force: House Religion Records‘ ADE sampler is driving and vivid, utilizing effected vocal lines over brute kick drums that sink the mix with each hit. Elements of trance are sprinkled throughout each track but recede quickly with transitions, often queued by dynamic filter sweeps and eloquent risers. Dario Diaz, Robiin, Zeo, and Key Logger are but some artists here that shine and keep the label refined to its namesake. Rabbit In The Moon hopped in this week with a heavy future bass track entitled “Won’t Let You Go.” The track wastes no time in pocketing your attention behind effervescent arpeggios and a booming kick-snare house verse. The chorus, however, is another beast – relieving its duty to trance listeners and instead employs a brutal drop centered around a rising synth ostinato. The track is paired like fine wine with the Dirty Bunny mix, fusing the aforementioned elements in a fleshed out 4/4 banger. Though not quite as hyperactive as the original mix, it brings a darkened, somewhat insidious vibe to the release. This week brings the re-release of “… Of Shadow and Its Dream” by Neutral onto the Label Engine platform. Formed in the mid 90’s, Neutral is a Russian folk collective spearheaded by composer Ash, with the help of multi-instrumentalist Ilya Lipkin, violinist Eugene Voronovsky, and singer Veronika. “… Of Shadow” is a desiccated yet oddly whimsical suite of folk music that evokes a dark winter in a lost forest. A certain atmosphere is set right off the bat, one that builds curiosity and cryptic uncertainty throughout the record’s forty minute run. Ash’s voice is a warm monologue, recited in the midst of distant crows and passing wind, narrating the world that unfolds in juxtapose with frigid instrumentation. The Zodiac rounds out this week’s fresh produce, and does so with a seething techno menagerie that is “Substituted Identity.” The four track LP is as vehement as it is relentless, each song a witch-house fever dream that pushes the listener’s threshold further and further. Industrial stabs layer the soundscape and obfuscated noise oscillators whip without discretion. “Substituted Identity” is a little preview of what Bad Reputation and, in turn, Mephyst Label Group are capable of, as each track pairs a familiar name to the teething ferocity. Yinn, Modular Phaze, and ÅNTÆGØNIST all contribute to the album, the latter of which has an upcoming release,”Uncomprimising Empowerment”, in early November. If this album is indication, it may be a good idea look out for it in the coming weeks.